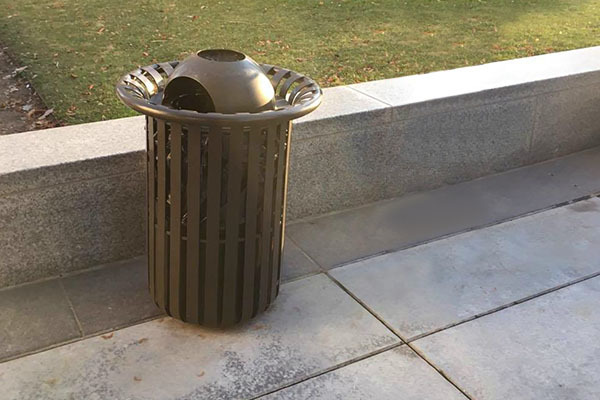 The Centennial Trash Receptacle offers a beautiful slat design with curved edges. It adds a level of elegance to business fronts and park entrances. 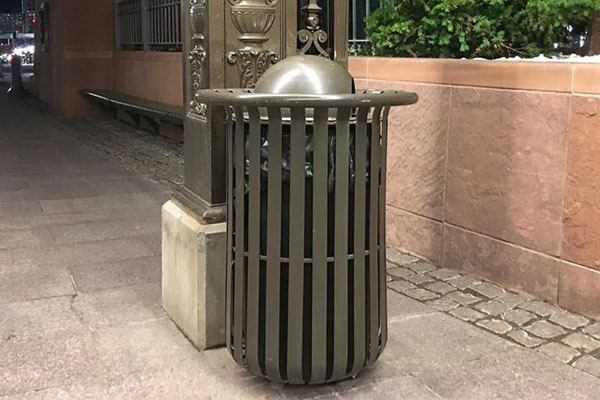 The metal is available in a variety of powder coating colors to match the surrounding settings. To get started with your order, give us a call at (801) 414-1724. Only available in orders of 10 or more.